X-Ray is an interactive virtual reality and augmented reality installation mounted on robotic arms. 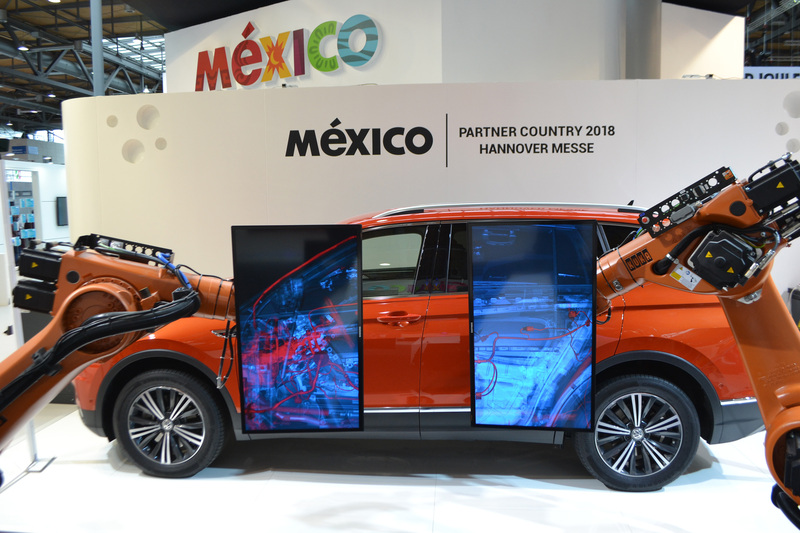 It was designed and produced for the Mexican Pavilion, guest country of honor at the Hannover Messe, Germany, 2018. The installation was seen by more than 225,000 visitors to the fair and played a defining role in Canciller Angela Merkel’s tour; it was viewed in the media over 2 million times around the world. 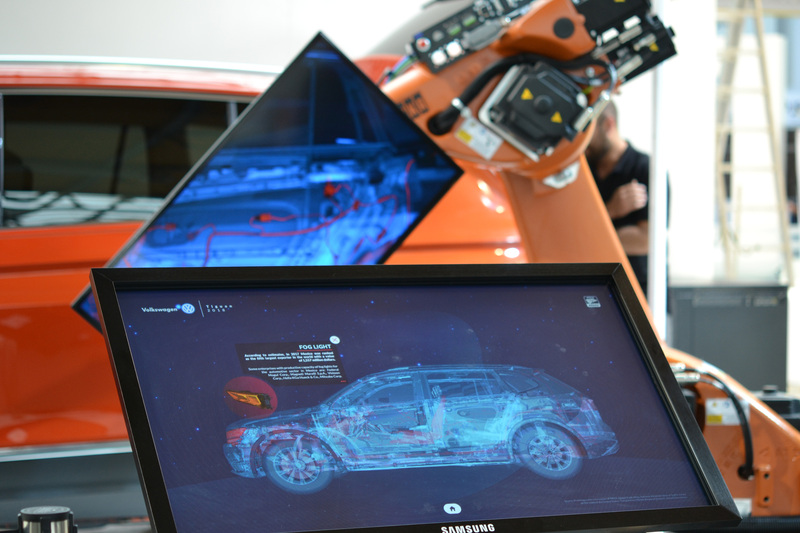 Two screens are fastened and manoeuvred by robotic arms; they act as windows, reproducing the dynamic radiography of a car and allowing us to see all of the parts that make up this masterpiece of engineering and design. 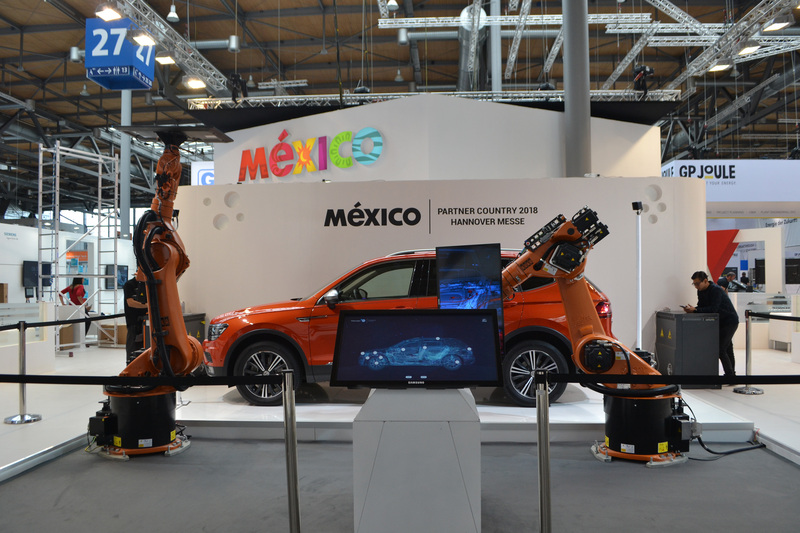 Visitors can control the movements and routes of the robotic arms from a screen, exploring the different zones of a car and highlighting the parts made in Mexico. Visualizing parts from the insides –such as the motor, brakes, and suspensions– to exterior pieces such as the tyres and the bodywork, the Tiguan display is an unforgettable spectacle.